Though they are a prolific problem in many places, the silver line of pig proliferation are the hunting opportunities. And when you have filled the freezer with 75 pound “meat” pigs, the goal is to shoot a really big pig. 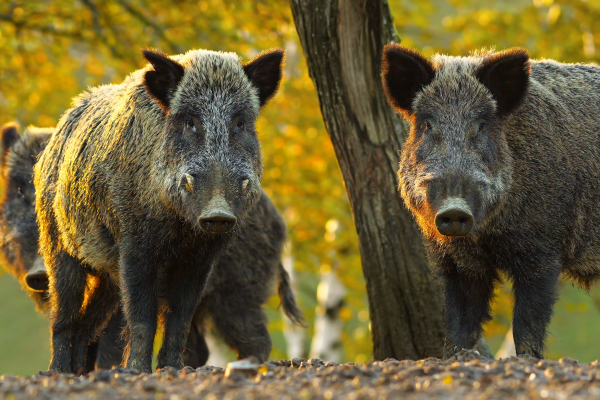 If you are willing to endure a week of luxury on a Mediterranean cruise, Shikar Safaris has a plethora of pork-purveying opportunities, and for really big pigs. Shikar Safaris offers a Mediterranean cruise with a twist: sailing during the day and hunting giant wild boar at night. Based out of Turkey, this package includes sailing on the turquoise waters of the Mediterranean and Aegean Seas, a variety of historical and cultural side trips, and rich Turkish cuisine and hospitality. Southwestern Anatolia is one of the world’s most beautiful areas, offering a variety of activities including sailing, swimming, diving, fishing, surfing, hiking, and of course, wild boar hunting in the Taurus Mountains. During the warm months of May through October you can enjoy cruising the Turkish coast in a most exclusive way. Shikar’s deluxe and super deluxe 90' - 120' wooden yachts have up to 6 luxury cabins, all with air conditioning, bath, and shower. After a day of tanning and/or touring, hunters should be ready to stalk the enormous wild boar of the Taurus Mountains by the light of the full moon. Cruises depart from the Bodrum, Marmaris, Kekova and Antalya regions of Turkey with 7 - 14 days recommended for the ideal trip. Arrivals and departures are to/from Dalaman, Antalya or Bodrum Airports. It should be noted May, June, September, and October months are milder than July and August, which have the warmest temperatures of the year. To learn more about Shikar Safari’s private Mediterranean hunt and cruise packages, contact them at info@shikarsafaris.com or at www.shikarsafaris.com.